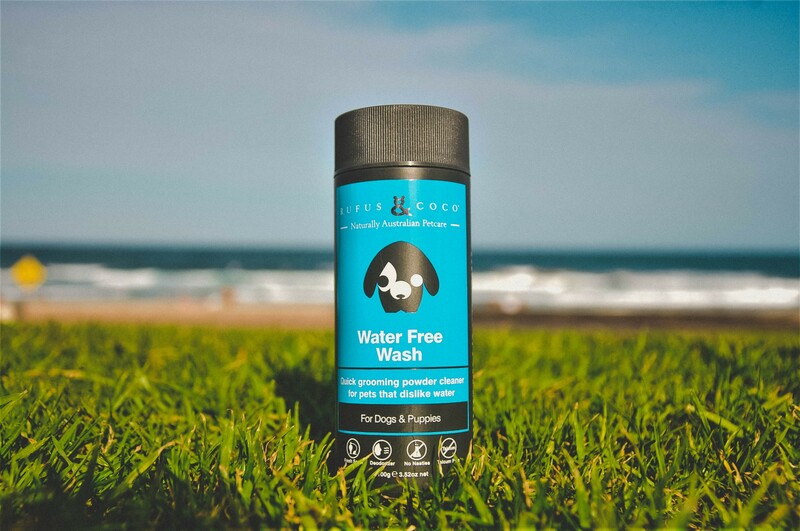 Water Free Wash is a powdered dry shampoo for pets, that makes it so easy to avoid the fuss, mess and stress of washing your dog! Hypo-allergenic fragrance - Our specially formulated signature scent is designed by perfumerers to be free from all known allergenic fragrances, and to evoke the fresh aroma of the Australian backyard. How to wash without water: First, get your little mate in a spot where it is okay if they shake. 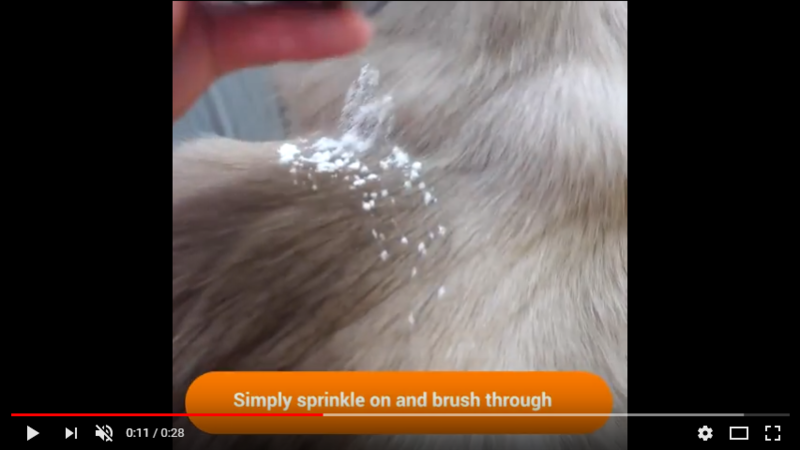 Now apply some Rufus & Coco Water Free Wash to a few different areas of the coat, and massage it in for a few minutes. Then simply brush or blow dry out the excess powder. Do this whenever they need a quick wash without water. Q: Is Water Free Wash safe if my pet licks it? A: Yes! Water Free Wash is non-toxic, and completely safe if your pet licks the powder. Who wants to look like something the cat dragged in...not me! But let’s face it, finding the time or waiting for the right weather to take a wash is not easy. But now, thanks to Rufus & Coco Water Free Wash I don’t need to! With a couple of shakes of a lambs tail I am cleaned without water and smelling like a rose. Now where is that nice gal I had my eyes on?